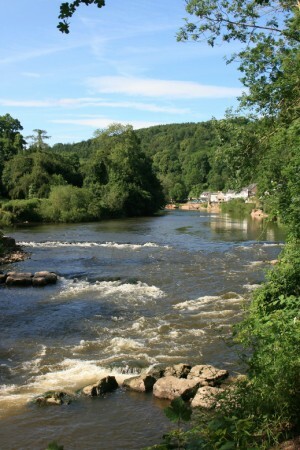 Symonds Yat Rapids are a short section of the River Wye found in an Area of Outstanding National Beauty. Easiest access is from Symonds Yat East where canoeists should park in the Wyedean Canoe and Adventure Centre car park (there is a boat launch fee to be paid here alongside car parking). Putting in from these steps it is then just a short paddle down to the rapids. The course, used for div 2/3 slaloms, is on the river left-hand side of the island and is Grade 2 water. The groynes channel the flow and produce a number of eddies which allow excellent practice for breaking in and out alongside some small waves. In higher flows the eddies wash out and the groynes produce some large waves ideal for surfing and more challenging crosses. Camping is available at the Wyedean Canoe and Adventure Centre or there are a number of hotels and B&B options in Symonds Yat East. 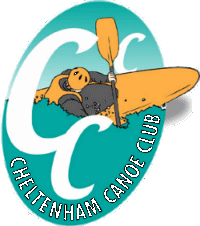 The canoe centre shop also sells a selection of canoeing equipment along with drinks and ice creams, while the pub, hotel and teashops provide more substantial food.